The whole growth rate of global economy has slowed down. The development of oil and gas pipeline industry was affected by the imbalance between supply and demand, oil price reduced a lot. With industry development entered into the lowest point, the high cost of oil and gas exploration projects gradually reduced. The investment in oil and gas pipeline construction decreased. From the global energy structure, new energy developed fast. The fossil energy proportion in the global energy consumption structure continued to decline, but the natural oil and gas pipeline industry still grow faster. The amount of oil and gas pipeline projects in the world was about 3.8 thousand, total about 1.96 million kilometers. Of which the natural oil and gas pipeline was about 1.273 million kilometers, at 64.9% of total pipeline mileage. The global pipeline was mainly concentrated in North American, Europe, the Pacific, Russia and Central Asia, which at 43 %, 14%, 14 %, 15 % of total mileage. Since the oil and gas exploration investment decreased, related industries going into a depressed situation. The new oil and gas reserves has declined, and it stopped lots of oil and gas pipeline projects. The oil and gas pipeline industry turned to the worst situation. It influenced by kinds of factors, such as oil and gas price reduced, global economy recession etc. The global oil and gas pipeline construction has declined such as API 5L line pipe projects becoming less and less. In short, the investment in the global oil and gas pipeline construction will keep reducing year by year. On the other hand, The new pipeline projects will mainly focus on natural gas pipeline and submarine pipeline. The growth rate of China oil and gas market demand become slow, energy resources supply more flexible. 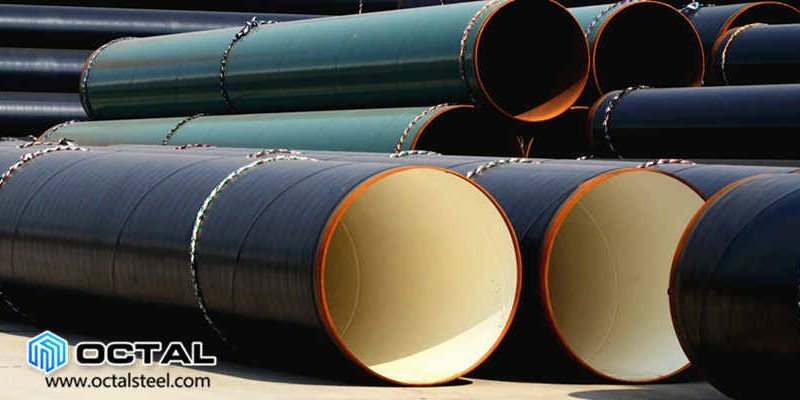 Energy pipeline network gradually improved, the new pipeline constructions began to slow down.China released some policies and regulations to create a good market for oil and gas pipeline industry. First, promote the regional oil and gas pipeline network. Second, encourage the oil and gas industry, promote natural gas infrastructure construction. And expand the service scope of natural gas pipeline. Third, break the monopoly, absorb the investment capital from the third party. Create and change to embrace the market-oriented reformation. Update the skill of energy transportation services.